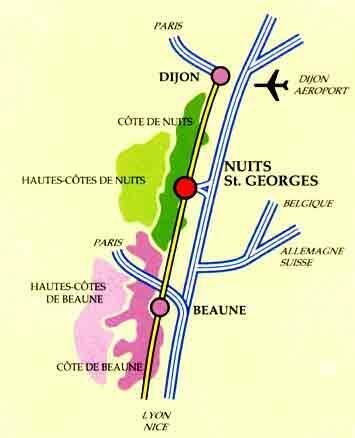 Situated in the heart of Burgundy, the Cote d'Or is worthy of its name, the Golden Ridge. The autumn vineyards are rich with a myriad of colors. Today you will journey through the vineyards of the Cote de Nuits wine district, traveling through the villages of Fixin, Gevrey Chambertin, Morey Saint Denis, Chambolle-Musigny, Vougeot, Vosne-Romanee and Nuits St Georges on the Route des Grands Crus and along small vineyard roads.Your wine specialist-guide will explain the different varieties and wine qualities as well as different tasks performed throughout the year to care for the vines, the harvest, and historical aspects of the vines and villages.The tour stops for two guided cellar visits and comprehensive wine tasting where everything you've learned throughout the day comes together.Enjoy the delights of Burgundy - one sip at a time!Hotel pickup is available, please click on 'View Additional Info' below for full list of hotels included.